Description: This webinar is designed specifically for addiction professionals and will provide an introduction to promising, feasible approaches to implementing evidence-based alcohol screening and brief intervention (SBI) methods in therapeutic settings. The presenters will outline how to ask clients about their drinking habits, enhance internal motivation to change their behavior if identified to be at risk using Motivational Interviewing and cognitive-behavioral strategies and support clients in behavior change or treatment seeking goals by conducting follow-up and referrals. Participants will walk-away better understanding SBIRT, how it impacts the addiction professional and how to use it in your practice. Provide follow-up and recovery supports to clients. Dr. Carlo DiClemente is the current Presidential Research Professor at University of Maryland, Baltimore County. For the past 30 years he has conducted funded research in health and addictive behaviors and been engaged in clinical services and research. Dr. DiClemente is the co-developer of the Transtheoretical Model of behavior change, and the author of numerous scientific publications on motivation and behavior change with a variety of health and addictive behaviors. 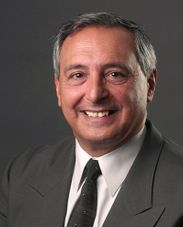 Dr. DiClemente has co-authored a self-help book based on this model of change, Changing for Good, as well as several professional books, such as The Transtheoretical Model, Substance Abuse Treatment and the Stages of Change, and Group Treatment for Substance Abuse: A Stages of Change Therapy Manual. His most recent book, Addiction and Change: How Addictions Develop and Addicted People Recover, is published by Guilford Press. For his work in the addictions he was given the Innovators Combating Substance Abuse Award by the Robert Wood Johnson Foundation, as well as the McGovern Award from the American Society on Addiction Medicine (ASAM). He has served as President of the APA Division on Addictions (50), and received awards for his Distinguished Contribution to Scientific Psychology by the Maryland Psychological Association and the American Psychological Association’s Division on Addictions. Dr. Tracy McPherson is a Senior Research Scientist at NORC at the University of Chicago. Over the past 13 years, McPherson has led initiatives supported by NIDA, CSAP, NHTSA, NHLBI, SAMSHA, and CDC. 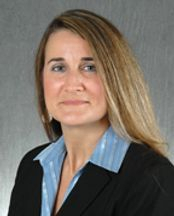 She co-leads the Brief Intervention Group (BIG) Initiative aimed at changing the way employee assistance and providers of behavioral healthcare services assess and intervene for substance abuse by adopting evidence-based screening, brief intervention, and referral to treatment practices. McPherson is an applied social psychologist and an expert on substance abuse prevention and early intervention who, until deciding to join NORC, has been an Assistant Research Professor at George Washington University Medical Center (GW). Prior to working at GW, she held R&D and training positions in the areas of health and productivity management, substance abuse, and mental health at the Institute for Health and Productivity Studies at Cornell University and at ISA Associates. Senior Research Scientist in the Substance Abuse, Mental Health and Criminal Justice Studies Department. Earn Continuing Education Credit: All applicants for CE credit are required to complete and pass this online CE Quiz after viewing the webinar. Members of NAADAC or AccuCare Subscribers receive a Certificate of Completion for 3 CE credits for free. Non-members of NAADAC or Non-subscribers of AccuCare receive 3 CE credits for $35 (make payment here). A CE certificate will be emailed to you within 21 days of submission and receiving payment, if applicable. Who Should Attend: Addiction professionals, employee assistance professionals, social workers, mental health counselors, professional counselors, psychologists and other helping professionals that are interested in learning about addiction-related matters.